Irit Harris has surveyed hundreds of women on their relationship with money. When it came to sharing money fears, close to 80% of women surveyed feared ‘not having enough money’ both now and into the future, as their number one concern. Hi there, I’m Irit and have written this article to help alleviate this fear. I provide some tips on how to intentionally save for a goal and how to spend mindfully so that ultimately your goal is achievable. Intentional saving and spending is a combination of psychology and finance, or “behavioral finance”. It’s complex and hard and if you do not save or budget; many struggle with it. Shlomo Benartzi, American behavioral economist states that “when it comes to saving, self-control is not a problem in the future, but a problem now. We know we should be saving, we will do it next year, but today, let’s spend”. The immediate gratification causes us to think about saving but we actually end up spending. Behavioural Economist Dan Ariely has spent most of his career understanding why and how we make decisions and he has recently focused on those everyday financial decisions we make. He says that money is all about opportunity and opportunity costs – “Every time you buy a cup of coffee, you should be thinking ‘what can I do better with four dollars?'”. I don’t advocate for not having your daily coffee if you love it, but the idea that money equals opportunity cost, I am a big supporter of. He also says “saving is hard, spending is easy”. So true! So, if experts have told us that it’s really hard to be intentional with our money, both for saving and spending, what are some really easy steps we can take to help us alleviate the fear of having enough money and some simple tools to help? Tips to start intentionally saving and intentionally spending. 1. Determine what your goal is: Determine your goal(s) and how much you will need and over what time frame. A few simple calculations will help you work out how much you need to save each week or month to achieve your goal. Make note of this. 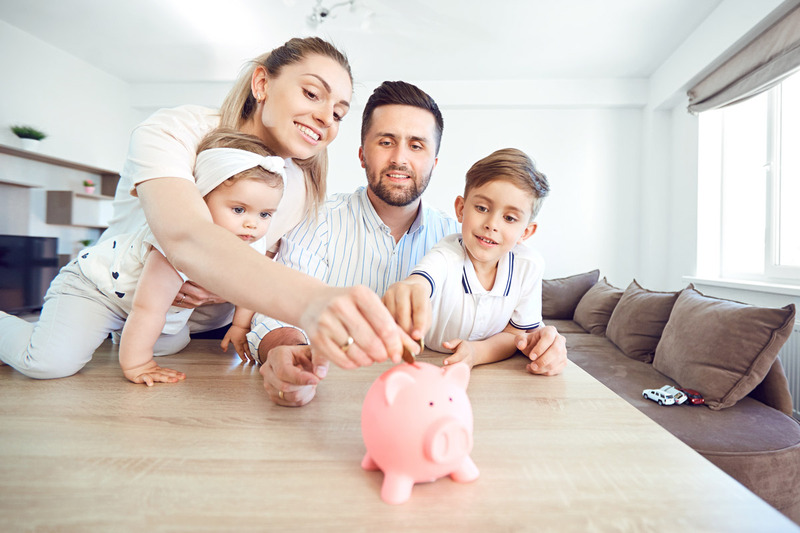 Whether your goal is to save for a holiday, a new car, pay for your children’s private school fees, save for a home deposit or have enough in retirement – all goals big and small are a critical first step. 2. Understand where and what you are spending your money on and reflect: This is a really hard one to do…but worthwhile. In taking Dan Ariely’s view on spending opportunity cost, it’s really important to understand where and what you are spending your money on. Tomorrow, set yourself the task of writing down every amount you spend and what you spent it on. It’s a very helpful exercise to do and can be quite eye-opening. 3. Work out if you can realistically achieve your goal and readjust your spending (without sacrificing too much): Based on what you need to save and what you are spending, can you realistically achieve your goal? Reflect on the opportunity costs of your choices for where and what you are spending your money on. Are these purchases bringing you happiness, joy and do they align with your goals? You could actually spend less just by looking at your big-ticket expenses and making a phone call to your provider. For example, call up your gas/electricity provider and ask if they can give you a better deal, the same for your health insurer and so on. 4. Unintentionally save intentionally: There are many ways you can do this, but the best ways are those systems that are set and forget; until you need to access the funds! What my husband and I have done for all our savings’ goals is to create a ‘savings’ folder’. We currently have one for each of our children and have had ones for ‘holiday’, ‘school’ and other goals. These folders are savings accounts we have set up with the bank, that earn interest. We divert a certain amount of our income towards these savings accounts on a weekly basis. It’s amazing how quickly the weekly contributions add up. 5. Check in and repeat: It’s important to check in on your intentional savings and spending on a fairly regular basis. Dan Ariely recommends once a month to create a habit of it. Ultimately, this is about creating positive money habits and being more conscious about the opportunity costs when it comes to spending and ensuring you are intentionally saving to help you achieve your goals. Intentional saving and spending is hard. It is important to know what your goals are and how much you need to set aside per week/month to achieve them. Spending is about opportunity costs, so make sure you are making the most from your spending decisions. Set up systems to help you save to achieve your goals. Don’t just do this as a once off, repeat until it becomes a habit. Aside from being an infinite learner (over 10 years in banking, MBA, Diploma of Finance, accreditation to give general advice on banking and insurance products), Irit is a mum to two beautiful kids, wife to the incredibly supportive Josh, and lover of travel, yoga and jogging.